On Sunday, January 27, 2019, Bertha "Bep" Brander passed into the presence of our Lord and Saviour Jesus Christ, at the age of 90 years. She will be greatly missed and lovingly remembered by her children, Judy (Gary), Linda, Will (Joanne), Marguerite (Al) and Ray; 9 grandchildren; and 5 great-grandchildren. 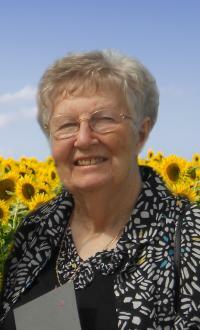 She was predeceased by her husband, Harmen in 2016. A Memorial Service to celebrate Bep’s life will be held on Thursday, January 31, 2019 at 2:00 p.m. at Inglewood Christian Reformed Church, 12330 - 113 Avenue, Edmonton.